Ruffles and lace! Sweet sophistication. Come in this week to see this new arrival for this beautiful lace and ruffle ballgown–your choice or white, ivory, or champagne blush. 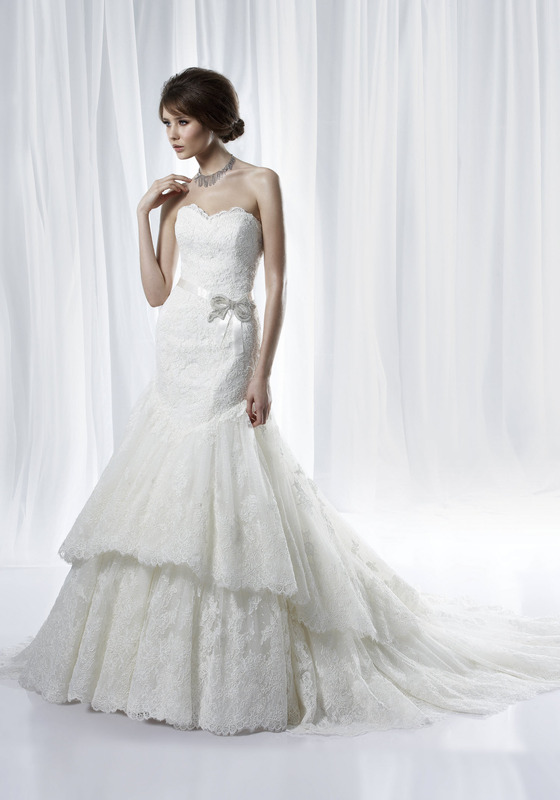 Your dream dress is at Anjolique, one of the top 50 chic Boutiques in the US by Bride’s magazine! Champagne gold wedding dresses. Luxurious, rich and vintage chic, these champagne gold wedding dresses with Swarovski crystal embellishments are beautiful and glamorous. A lace Ballgown doesn’t get sexier than this. Open keyhole, deep dipped back. So dramatic! Just arrived this week at Anjoliqie. Oh the luster of Satin. Luxurious and form fitting, you will feel like a princess in this amazing gown with crystal and pearl.Your Dream Dress is at Anjolique. Affordable Luxury. 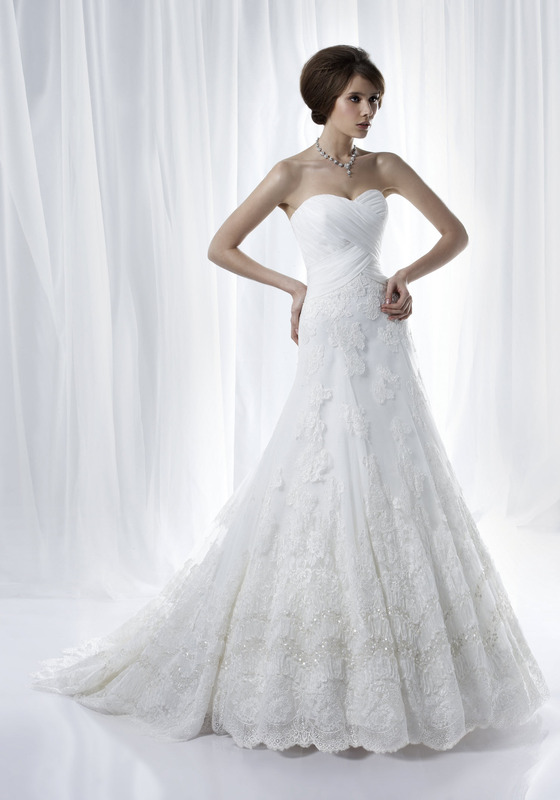 This breathtaking ballgown with crystal and lace strapless top will make you feel like the ultimate elegant princess. New designer gowns arriving daily. Would you wear a gown with color for your wedding? Let us know! Featured dress, champagne and ivory gown with accents of blue by Allure. Anjolique has your dream dress! We are open Friday, Sat, and Sunday.